We have the top team in Poole, as far as CCTV installation is concerned. So you need look no further! All our staff are extremely knowledgeable and have years of experience to call upon, so if you want CCTV cameras to protect your domestic or business premises then we have exactly the expertise you need. What is more, we will give you a free quotation within 24 hours. Property owners in Poole have been taking advantage of our CCTV services for years. When you try us for size, you’ll see why that’s the case. We offer supply-and-install services on a huge range of CCTV systems, both large and small. We’re also happy to install your kit if you already have something ready to go in. And did we mention we can also fix broken systems and maintain them whenever required? When we say we cover all the CCTV needs you could have in Poole, we mean it. Call now and find out how true this is. So what are you waiting for? Get in touch with us and give yourself the peace of mind that comes from knowing that your property is properly protected. Crime in Poole is relatively low. Anti-social behaviour and criminal damage are around average, and general theft is also. Installing a CCTV system to protect your Poole based home or business is a good idea if you are looking to provide a high profile deterrent. This is especially effective for behaviour problems and damage to property and stock. 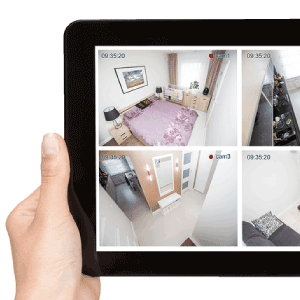 Why do you need CCTV? From first email to fitting of system was very straight forward . Any emails I sent where always answered quickly and any phone calls where answered quickly and with courteous manner and very knowledgeable staff.very pleased with the service I received from start to finish. If you like the idea of looking at your camera feed from anywhere in the world via your mobile phone or tablet, ask now about the best kits to help you do just that. There is no longer any need to suffer bad-quality pictures from your CCTV cameras. Contact us today to explore the kits that offer HD images 24 hours a day, 7 days a week. Go bold and bright or fade into the background… the choice is yours with top-quality cameras of all colours. Black or white camera cases to suit your home or business. We help businesses and home owners protect their properties and belongings by providing a superb CCTV installation service throughout Poole. We’ve become used to a society that is watched over by closed-circuit television cameras. When used correctly, they can deter criminals and reduce crime in many areas. But while crime prevention is a major attraction many people think of when looking at CCTV kits, it’s not the most important thing. Feeling safe isn’t something you can put a price on. Do you feel safe in your home? Would you feel safer knowing you could check the exterior of your property without moving from your chair? Modern technology means cameras you can control from anywhere, to see what’s happening. Visible cameras still provide a powerful deterrent, but they are also capable of making you feel more secure. The same applies wherever you install them, too. For instance, you can use them to protect a small or large business, whether that involves a single unit on an industrial estate, a large factory or a small shop. The versatility and scalability of CCTV kits means you will always find the one solution that ticks every box you have in mind. All that remains is making it happen, and thanks to our experts, that is easier than you’d think, too. CCTV is an invaluable tool in the protection of staff handling cash, or products such as electronic goods, alcohol and jewellery, which are often targeted by thieves and sold on for cash. Fitting CCTV on business premises, not only reassures your staff but protects them from potential violent acts of crime and with remote access, you can keep an eye on vulnerable staff at all times. We’ve made it simple to ask for a free quote, whether you want installation-only services or supply-and-install in Poole. Call 0800 211 8310 or email our team at info@cctv.co.uk now. Whatever you need, we’re here to help.